THE situation in Nigeria provides a writer with a fine concatenation of stories to write about. Most of the stories will make good comedies. Nigeria is a circus! Just as we are still guffawing about one risible event another one happens. It is a “laughing” continuum. The thrill is sine-die. The news of the homecoming of the reportedly brain-damaged governor of Taraba State, Danbaba Suntai, is the latest of all thrills. For a refresher, the governor who was involved in an air crash sometime last year had been receiving treatment at a hospital in the U.S. Press reports have it that his homecoming is predicated on a need to prevent the acting governor, Garba Umar, from taking over as governor of the state and to ensure that Suntai retains his position as governor. To this I wonder in an endless labyrinth of stupefaction! I just wonder what politicians with the nudging of their acolytes and cronies will not do for power. Even a reportedly brain-damaged governor? The lust for power is sure at the apogee of power concupiscence in Nigeria; a situation that exposes the flawed character of the Nigerian politician. Again, I wonder when is the health state of a person so inconsequential, that the only consideration will be how to grab and retain power? And that power comes first before health. The unfortunate thing is that we seem to be plagued by the same fate in that events which show the country as politically pusillanimous always recur in more embarrassing configurations. Not too long ago, it was a vegetative president, Musa Yar’ Adua whose administration in the later phase was run by a bunch of ambition-driven political insiders known as his kitchen cabinet. Today, it is Suntai, the reportedly incapacitated governor and his kitchen cabinet. It has become obvious that there is no length the kitchen cabinet will not go to ensure its interests are protected by forcibly ensconcing a sick man in the seat of power. Nigeria is a circus! This throws up the issue of the kitchen cabinet in Nigeria. Although, it was a term that was used to describe the collection of unofficial advisers President Andrew Jackson of the United States consulted in parallel to the United States Cabinet, the popular meaning in the Nigerian context is what is intended here. The kitchen cabinet has shown itself to be a veritable “organ” of government in Nigeria. I may add, the oxygen of the government of the day in Nigeria is the kitchen cabinet. It is the unconstitutional organ on which the decisions of the President pivot. The kitchen cabinet is so powerful in Nigeria that even a dying president whose preoccupation should be how to stay alive is held in a political straitjacket, given props and puppet wires to carry on as if he was fit to rule. Now, they (a different scrum of people) are at it with Suntai! Putting him in a political straitjacket, giving him props and puppet wires not minding if he is compos-mentis or not. The kitchen cabinet has truly shown itself to be useful in Nigeria! At least, Nigerians can locate the fount of the bad policies that come from their government; a government that has no head to bear its own mysteries will be in the thrall of the kitchen cabinet. I would like to extend the kitchen cabinet plank to all the levels of government as they all share similar symptoms. The Presidency has not been, and is not the only arm of government that is caught in this web. Our legislators and judges are also wrapped in the hidebound gossamer of their wives, girlfriends, concubines, relatives, acolytes, hangers on and cronies. All these people constitute their own kitchen cabinet. However, this is not to say that the problems of Nigeria are as a result of the machinations of the kitchen cabinet only, but it is a fact that the overwhelming influence of the kitchen cabinet on the government is symptomatic of irresponsible leadership. So it boils down to a system of government by the kitchen cabinet. Ours is a kitchen cabinet system! I do not want to go into delineating the activities of the kitchen cabinet in this present government because I know a careful observer will have figured them out by now. In addition, I berate no particular government because the overarching influence of the kitchen cabinet has become systemic in Nigeria. No government in Nigeria can be said to have been free from the influences of its kitchen cabinet. This is simply a call to give room for reason and constitutionality in the case of Suntai. If he is not fit to govern, his kitchen cabinet should toe the path of honour, and let the present acting governor take over until the governor is certified fit to return to his chair. However, I doubt if this will be the case. The kitchen cabinet has dug in and has really been working overtime in Nigeria! • Nwabufo is a writer and a poet. fredricknwabufo@yahoo.com. 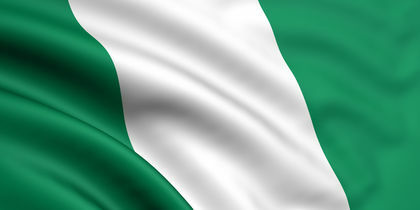 Nigeria: Growing Away From Oil?